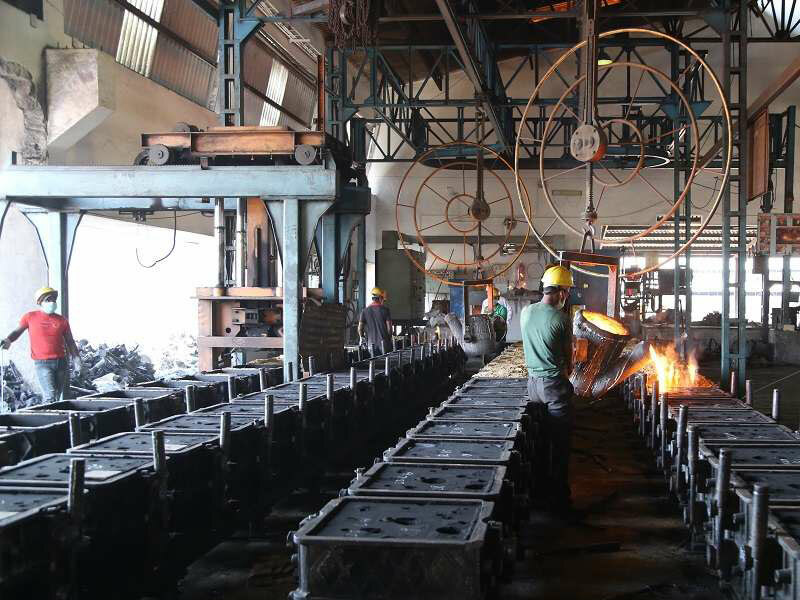 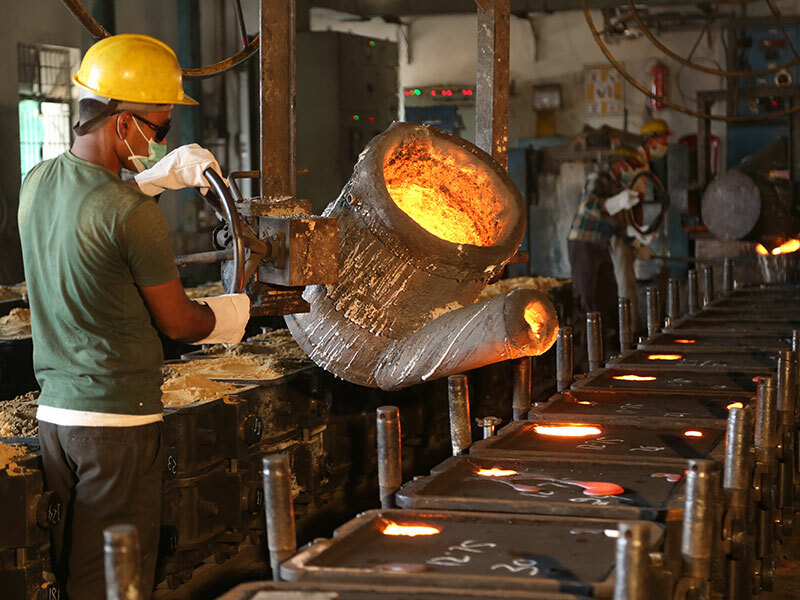 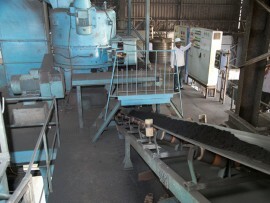 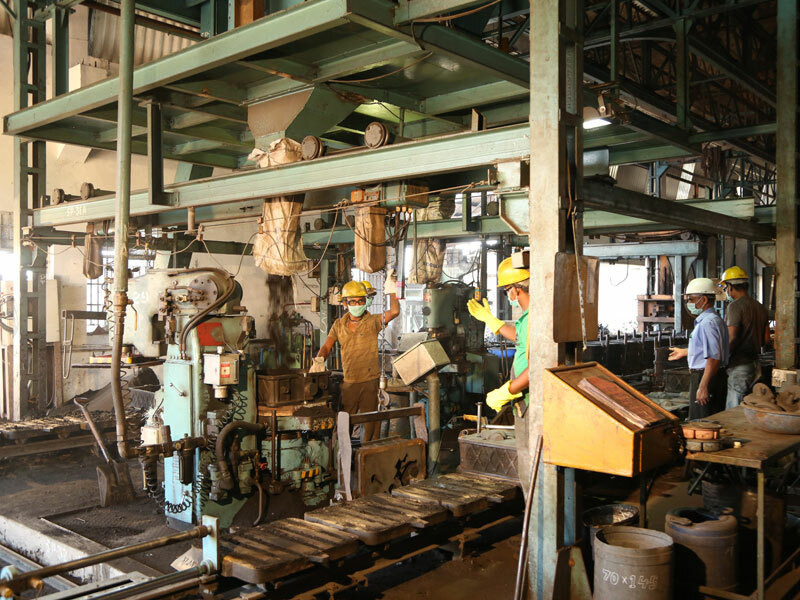 Own foundry spread over 3 acres of land with current capacity of producing 6000/yr tons per year of Grey and Ductile iron castings. 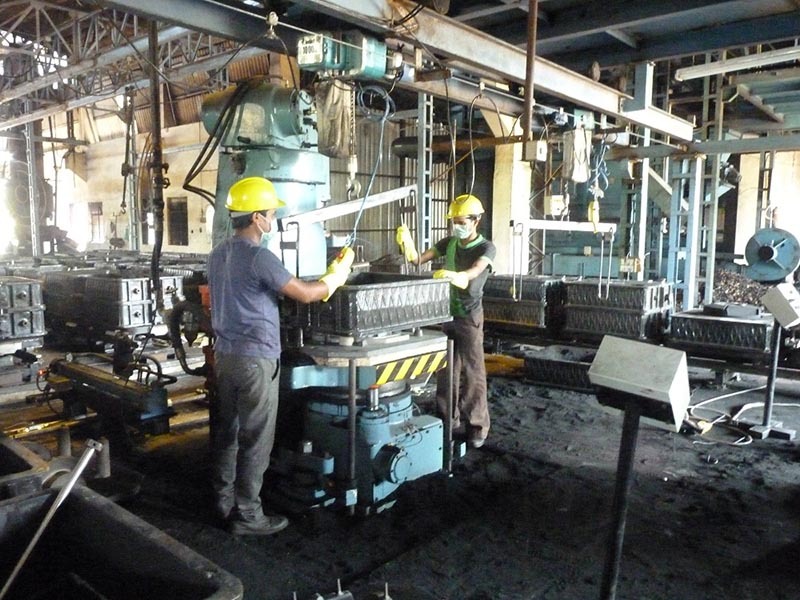 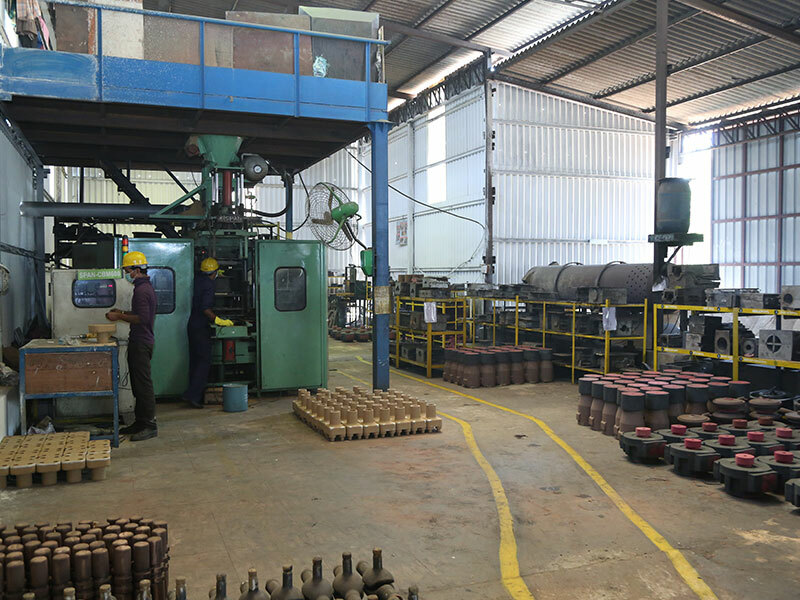 The foundry is equipped with fully automated sand plant having ARPA300 DISA make, with 500 x 500 size mold boxes line, with DISA sand mixer with 20 tons /hr fresh sand capacity, and automatic punching out of castings, at the end of cooling cycle. We have ARPA 300 molding line which has a total capacity of 300 boxes per day in 10 hour shift. 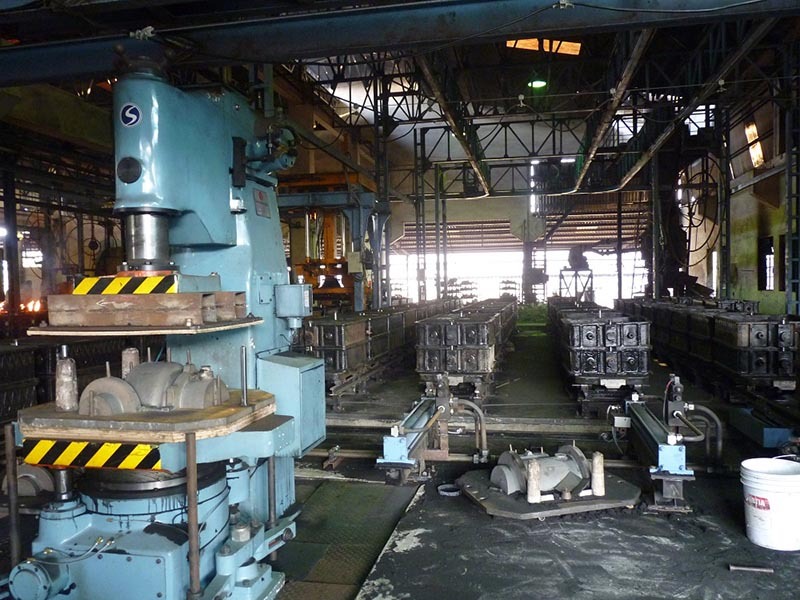 Installed a new line with ARPA 600 equivalent molding line for bigger castings, with a box size of 700X800 mm, to transfer items , previously done on hand molding. 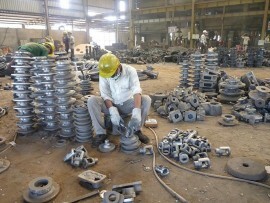 We have already extending plant with an additional bay of 15000 sf. 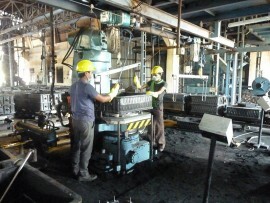 Area, to enhance fettling capacity, and to house a new 1.5 ton/hour shot blasting machine, and for other fettling and grinding activity. 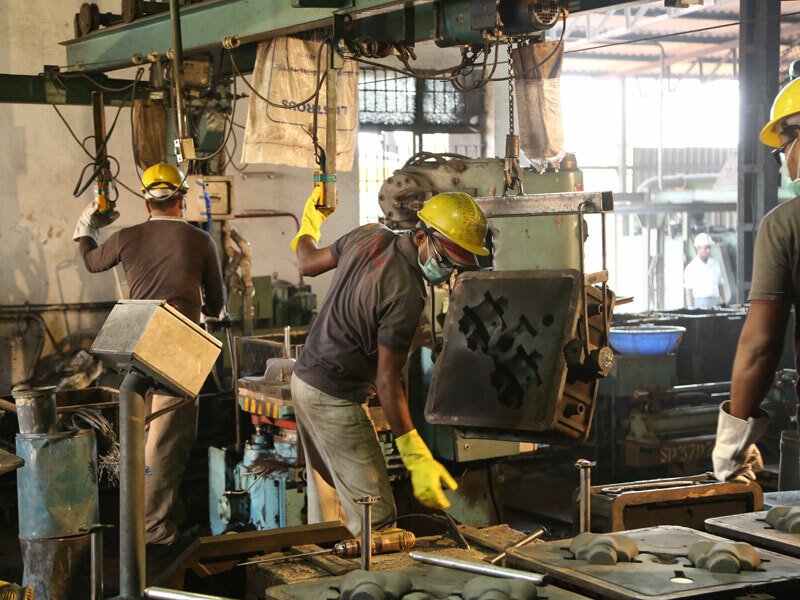 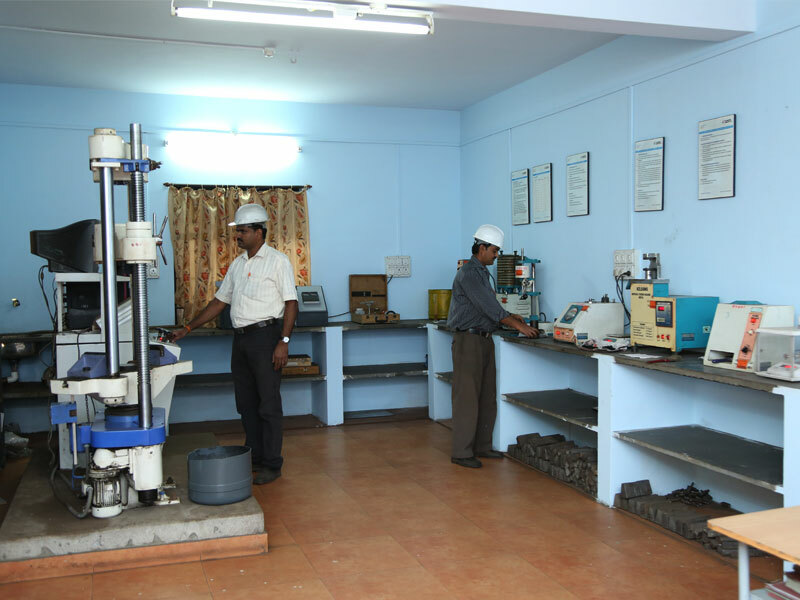 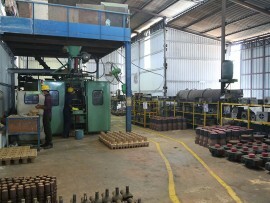 A separate hand molding line to handle larger items with adequate handling facility is also being created now. 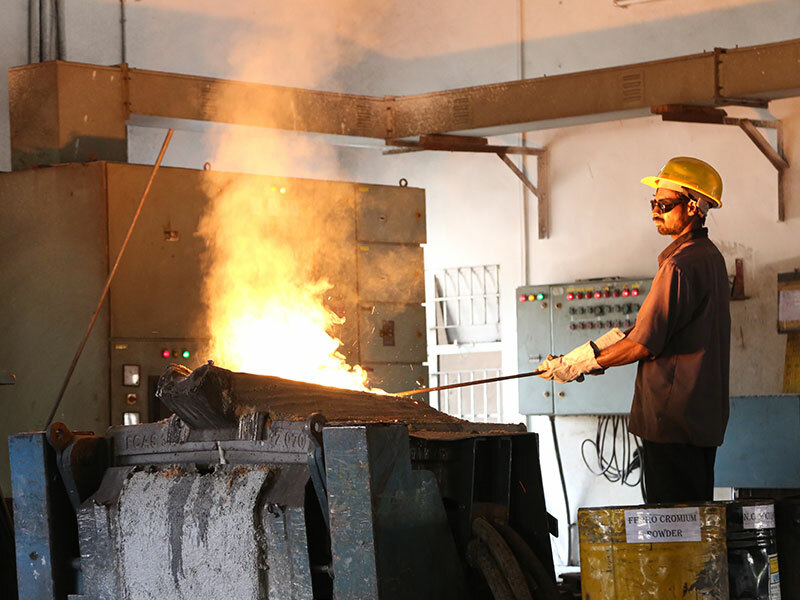 The melting is done on 550KW IGBT Inductotherm Induction furnace with capacity of 1 ton/hr melting. An addition of 500kg holding pot is installed now. 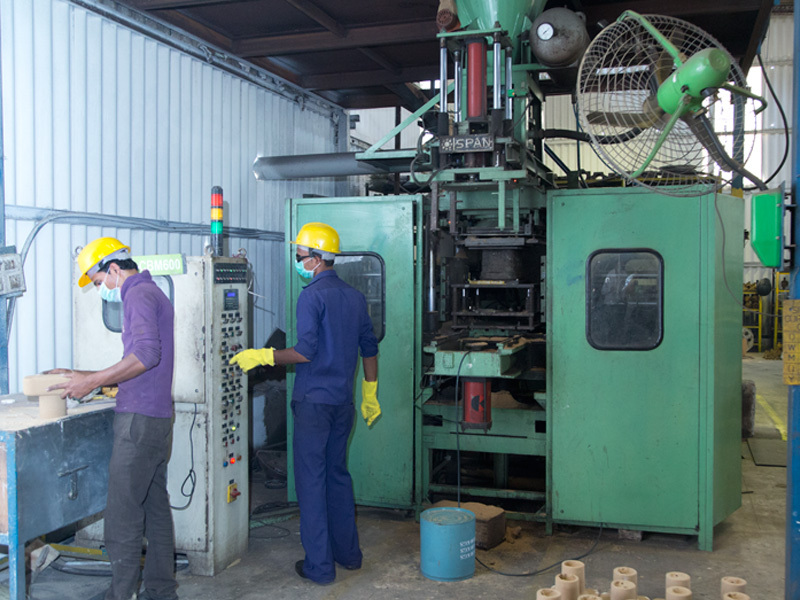 Core making facilities includes fully automatic SPAN, COLD BOX, shell core, No bake, CO2 core facility. 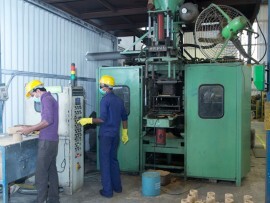 Adequate hand molding capacities to produce up to 150 kg, single pc weight. 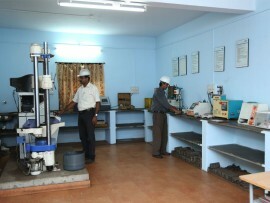 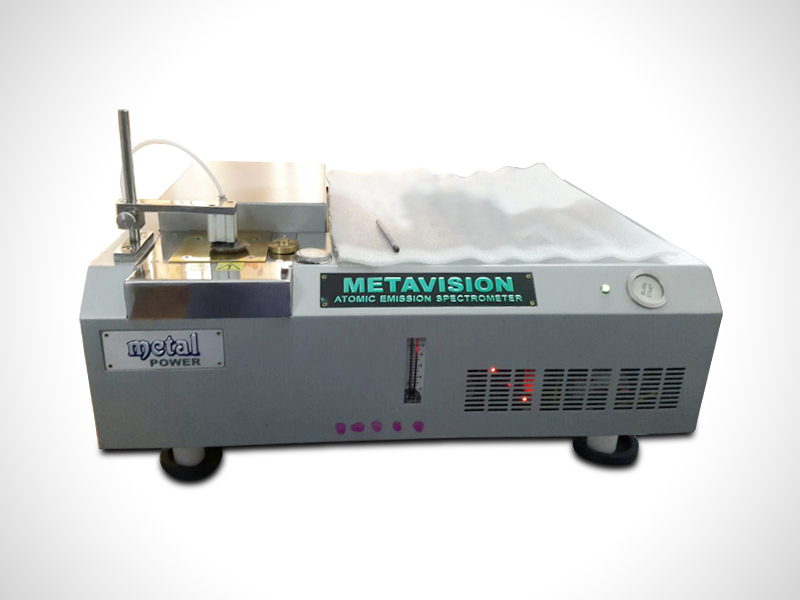 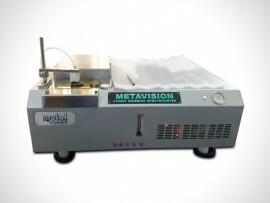 Foundry has a full sand testing lab, fully automatic tensile testing equipment. 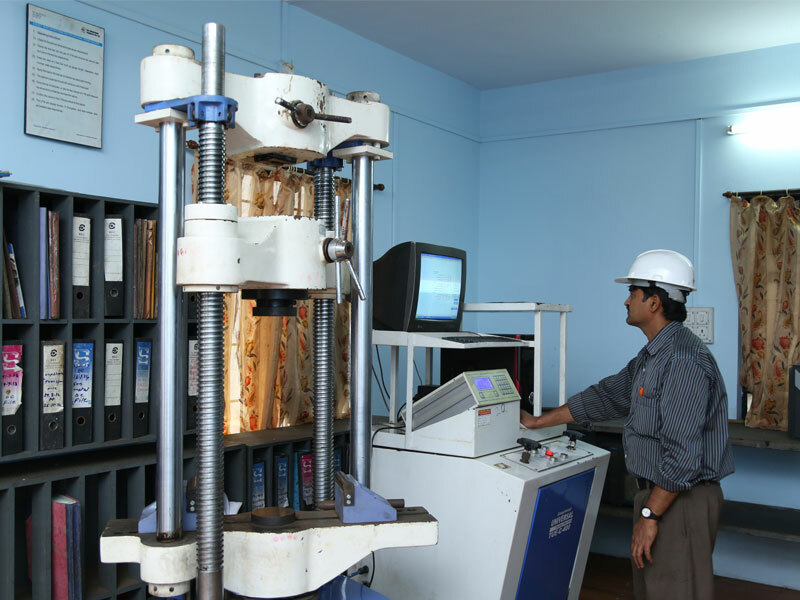 Fully equipped Microscope to analyze microstructure, connected to online computer, to produce comprehensive test certificates with Tensile, chemical and microstructure. 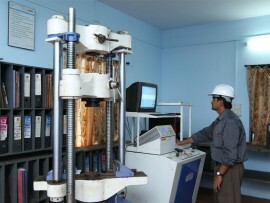 A fully integrated Spectrometer is being installed now, with capability to analyze, all Ferrous, SS. 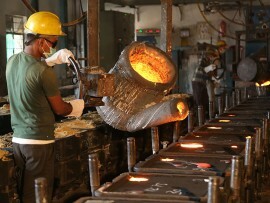 And Bronze grades . 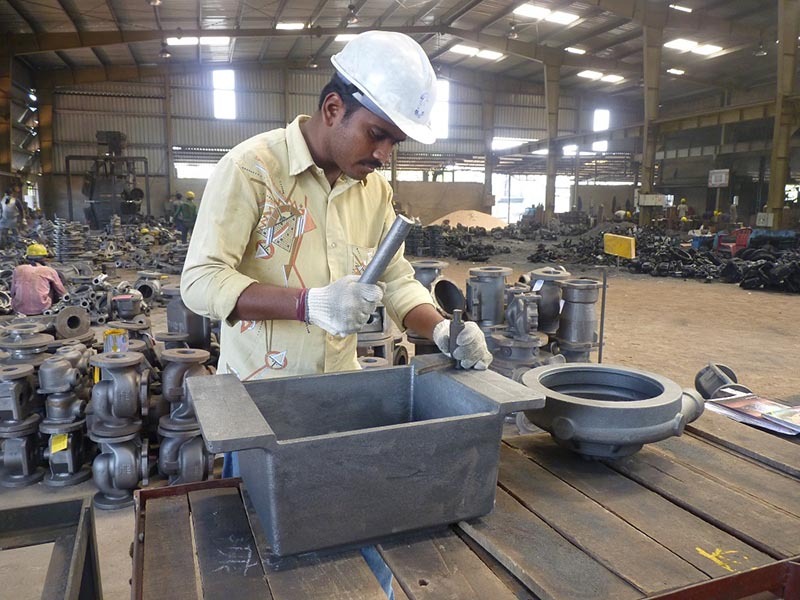 Full capabilities to supply heat control analysis with CMTR certificates. 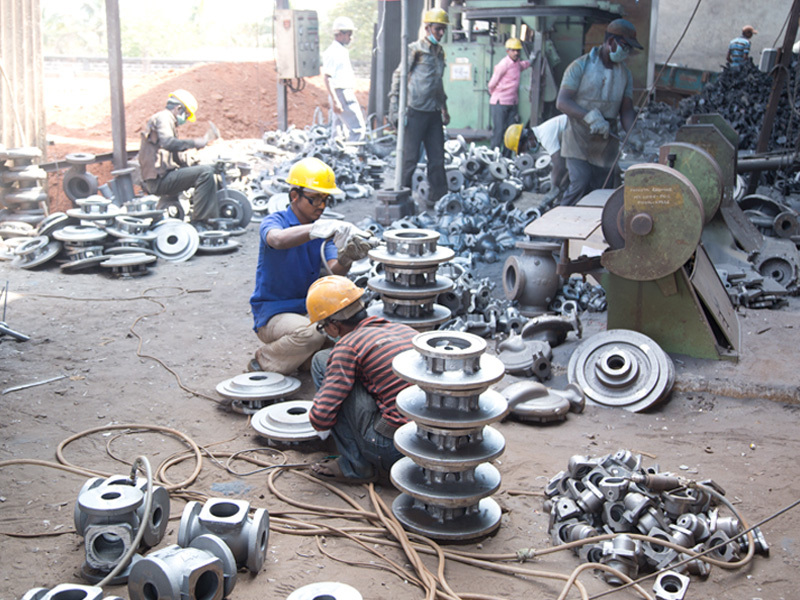 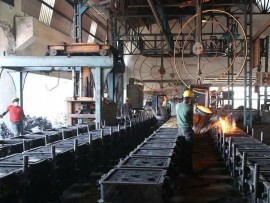 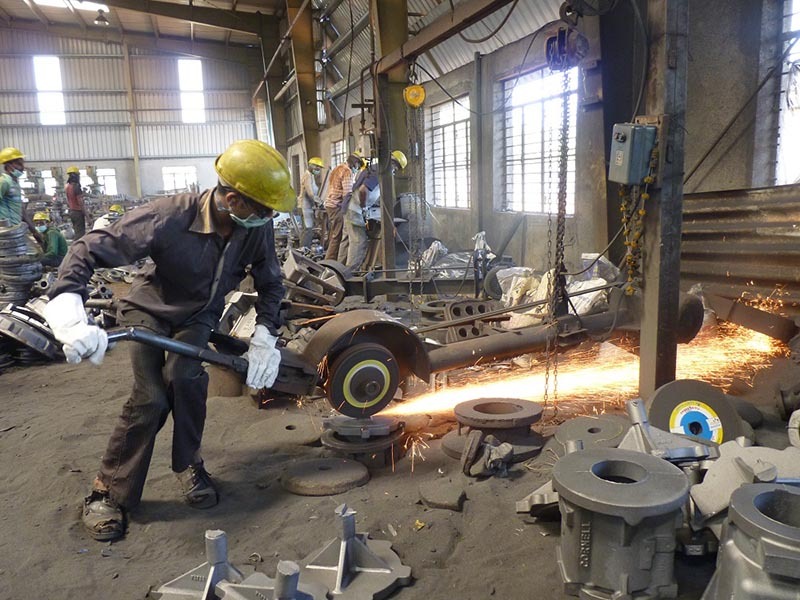 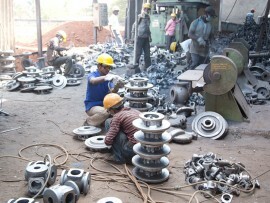 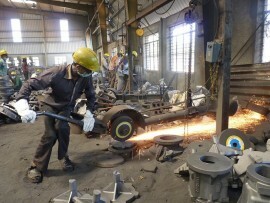 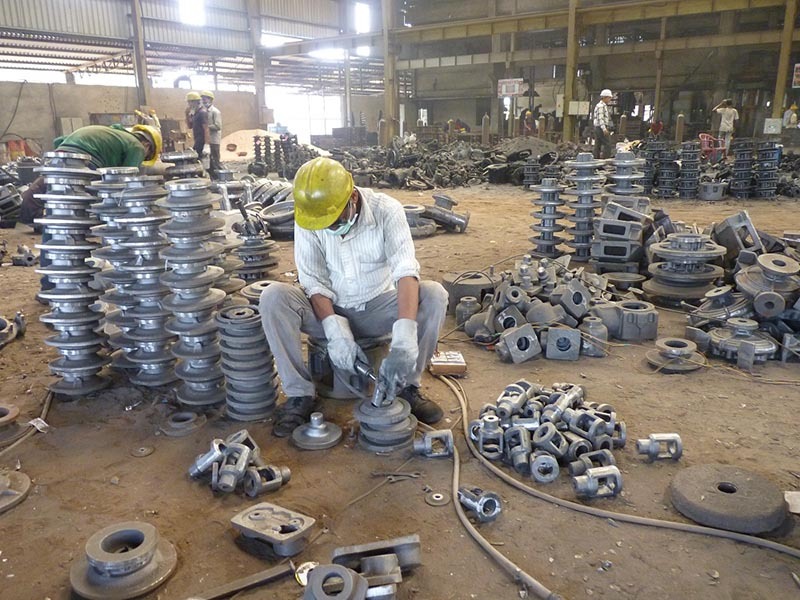 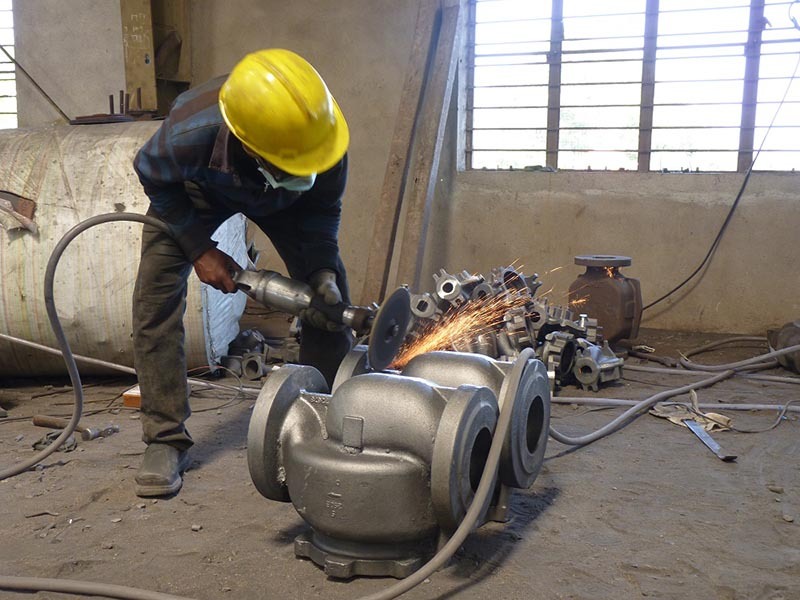 REC foundry is ISO 9001 – 2008 certified company implemented with international quality standards.